Ndulue was an intending passenger on an Ethiopian airline flight to China enroute Addis Ababa on July 5, 2015.
collapse triggered our suspicion and a narcotic officer was assigned to monitor the development. When the suspect’s condition stabilized at the hospital, he confessed to cocaine ingestion. 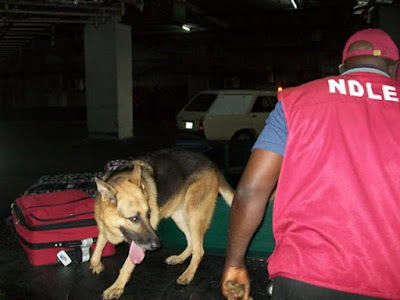 At that point, the NDLEA took over the case from the Port Health Services. He later died while receiving treatment,” Hamisu said. According to NDLEA preliminary investigation revealed that the deceased hailed from Anambra State. and until his death he was a trader living in Lagos. Chairman/Chief Executive of the NDLEA, Ahmadu Giade who described narcotic ingestion as a suicide mission reiterated his call for a drug-free society. “Ingesting narcotics is a suicide mission. I sympathize with the family members. Drug trafficking is a serious crime. It is a threat to public health and safety. The current trend of drug ingestion by drug traffickers in disregard of the grave health implication must be condemned by all. People must shun drug trafficking and support the anti-drug campaign. We must collectively intensify counter-narcotics efforts by talking to at least one person daily on the dangers of drugs and benefits of a drug-free society” Giade insists. The Agency has also contacted the father of the deceased.